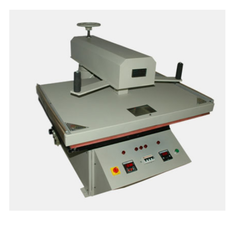 We have emerged as the foremost manufacturer, Exporter and supplier of premium quality Semi Automatic Fusing Machine 42/36which is alsocalled Double Plate Fusing Machine ,Semi Automatic double plate fusing Machine and Double trolly Motrized fusing Machine .This machine is tested for quality and durability at our advanced technological facility before being delivered to our valuable clients. Our machines find extensive application in the textile industry for industrial garments manufacturing and Digital celebration printing. The offered machine is renowned for features such as long service life, corrosion resistance, tamper proof as well as shock absorbent ability. 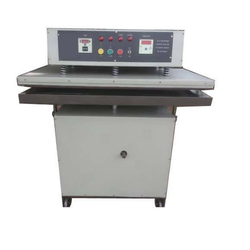 We have emerged as the foremost manufacturer, Exporter and supplier of premium quality Semi Automatic Fusing Machine 42/36which is also called Double Plate Fusing Machine ,Semi Automatic double plate fusing Machine and Double trolley Motorized fusing Machine .This machine is tested for quality and durability at our advanced technological facility before being delivered to our valuable clients. Our machines find extensive application in the textile industry for industrial garments manufacturing and Dgital celebration printing. The offered machine is renowned for features such as long service life, corrosion resistance, tamper proof as well as shock absorbent ability. 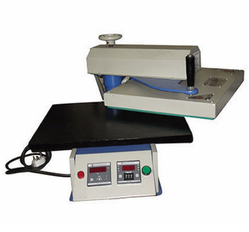 We also offer a superior range of Double Bed Fusing Machine (Pneumatic)to our clients, Our range is manufactured under the guidance of our experts and meet industry standards. We also check our range on the various quality parameters to assure its efficiency. Furthermore, we are committed to meet the bulk demand of our clients within the committed time frame. 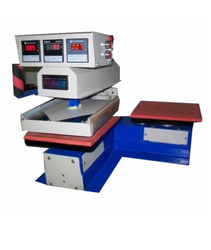 Looking for Fusing Machine ?